At Artek’s 75th anniversary dinner last week, we heard the news that the Finnish furniture company had acquired the entire share capital of compatriot company Aero Design Furniture (ADF) from owner Juhani Lemmetti, allowing Artek to begin selling the full Ilmari Tapiovaara family of furniture owned by ADF. An admirer of Artek founder Alvar Aalto, Tapiovaara also used architecture as the foundation for his work and his pieces will be a great complement to Artek’s line. With the launch of Artek USA earlier this year and expansion in Europe and Japan, the company is poised to help the Tapiovaara collection find new admirers as well. 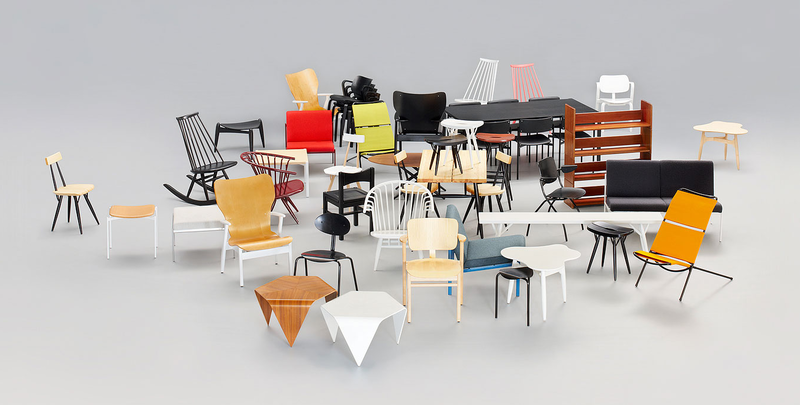 In other Nordic news, Artek’s creative director Ville Kokkonen will be taking part in the Nordic Design Now design symposium at the Cooper-Hewitt National Design Museum on Wednesday, November 10th and Thursday, November 11th at 7:00 p.m. The symposium includes two panel discussions, Social Awareness & Sustainability and Design Policy: Lessons Learned, co-presented by the Cooper-Hewitt, National Design Museum and Scandinavia House, and are held in conjunction with two exhibits: National Triennial 2010: Why Design Now? at Cooper-Hewitt, and Nordic Models + Common Ground at Scandinavia House.